Graduate students can apply for a number of different awards for travel. Go to the graduate awards page and type in 'travel' into the key word search box to see all the travel awards at the university. 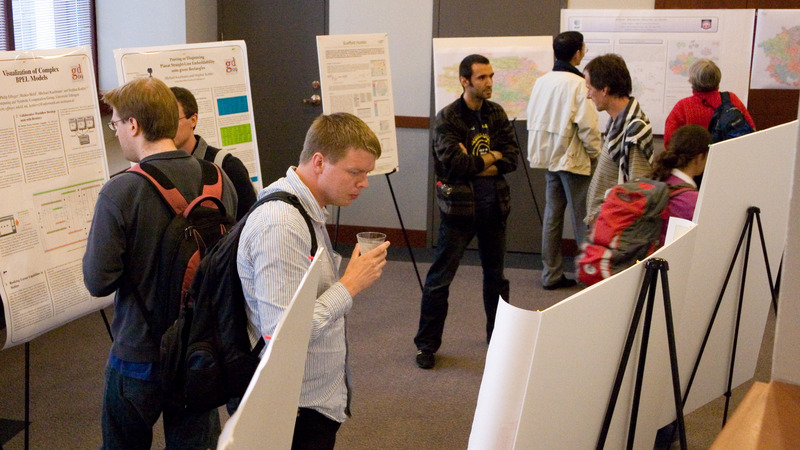 Depending on your program you will probably attend at least one conference during your graduate education. You may present a poster or a paper. It is often a scary endeavour for those who have not been to one before. Below you will find links to information on what to expect and how to prepare. While this paper is written for grad students going to a specific conference in geography the information and advice is helpful for grad students in many disciplines. They deal with the different types of conferences, the difference between paper presentation and poster presentation, funding and more. This is a general discussion about becoming part of the research community and includes a section on conference attendance.